Tried out the lite version to test if it will connect with my macs and it does(while many other vnc apps wouldn’t). Refresh rate isn’t the greatest but what can u really expect on an iPhone 7 over cellular data... My main use is to access my Mac and run terminal commands on it remotely. Works like a charm. Keyboard and mouse gestures could be better but once u find out where the up/down arrows etc. are u can accomplish what u need. Will update this review once/if I find any critical issues. Version 3.0 still has problems with Lion. I was able to successfully login once. Every subsequent attempt has failed. Update -- although version 3.0 does not work consistently with Lion's login screen, you can configure a VNC connection with your Mac username and password and it will bypass the login screen and successfully connect. Awesome app for controlling my Mac computers. Works perfectly. Using with tightvnc and display is very nice. The mouse is difficult to use however so interaction with display is doable but difficult at times. Desperately needs MS windows authentication capability. I was having a problem connecting to Lion, but I've discovered that there are a few settings you need to change to get it to work. So before you give it a bad rating, make sure you know what you're doing. Works great on Mountain Lion as well :) I'm a huge fan of Mochasoft because of this app, and they keep it updated too. This was once a great app. Now I wouldn't let them program my universal remote. Useless. Move on if you need it to work. Does everything I need it to for OSX. Just as info, does not seem to work at all for Raspian, a variant of Linux; but I can't really ding the rating just for that. Lags. Forget playing media from your desktop or surfing. I use it to access my 8 core macpro and it still is slow. I use to connect my mountain lion servers without issue. It is not a regulatory problem anymore, as you state on your support site. Quick and easy over wifi or 4g. If you're not stupid, it works great. Would live computer to computer control too! Still won't work. Hopefully will get fixed soon. Vengo usando mocha vnc desde hace más de 5 años en mi viejo Nokia n95, luego migre a un N8 ,milestoneII, y iPhone. Después de unos años en iPhone decidí comprarla y esta buenísima. Me faltaba el drag y esc para abandonar definitivamente la laptop!!! MochaVNC has been fast and dependable for me. Rich feature set. Tested 10.6.8 to 10.8.5. App no longer works in Lion. Used to work great, now in Mac Lion, no matter what settings i use, my iPhone won't connect. The one thing I was hoping to get from the paid version was vnc encryption, but this doesn't support it yet. Other than that, it's a solid app that I'm pleased to have. This is a useful tool for VNCing into my MBP on my wireless network. Keeps a connection stable,and it has the manipulation tools I need for easy setup. Good app everything I use works pretty well. I have been using it for over a year and it's always worked for me. The only negative thing I have to say is that I liked the old icon better. I've even done server support while in the car on the highway (someone else was driving). It works great. Mochasoft is always enhancing this app. Next enhancement - please add clipboard to Notes support. I would like to modify scripts using cut-and-paste. Then I will rate it 5 stars. I use this app all of the time. Just works ... Right out if the box. Thanks! I purchased and installed Mocha VNC on my Mac. The installation was simple and quick and the App seems to work well. I’m not sure about the speed of the connection at this point, however. I will be testing it some more and provide further feedback when I’ve completed my tests. I run vnc on an ipad, iphone, and win xp system to control a jb itouch running veency. Its getting better, but as of right now the 5.1.1 os upgrade on the ipad broke right click to wake up. Still works fine on iphone running 4.0 and win xp system. I used to have intermittent problems re establishing contact with veency in all versions but that seems to be fixed now. Ill update to five stars when this latest bug is fixed. The ipad is my preferred way to control the itouch which is connected to a power amp and speakers. A poor mans high end wirelessly controlled home hi fi system! As a paid app this is a feature I'd expect it to have. Otherwise pretty decent. I've been using this app for years now including on my iPhone 6. Went to update it several days ago, along with several unrelated apps. The others updated fine. Mocha VNC stopped part way through. Won't finish updating, can't use, and can't even delete it from my phone! I can see my entire desktop at near native resolution, dramatically improves the usability of an app I've owned and used for years. Has been stable and worked great for years now!! good vnc app (when it works). 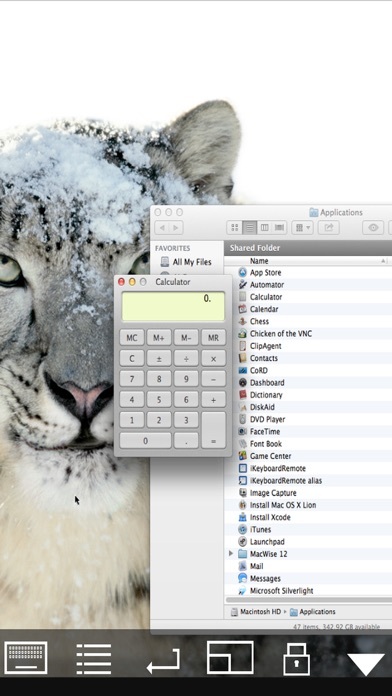 it's still broken with OS X Lion (hence the new app icon featuring snow leopard). 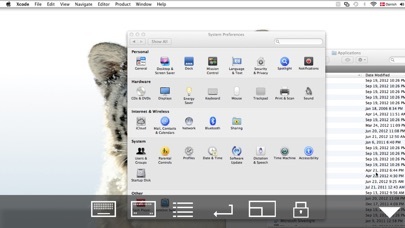 works fine with other OSes, but lion functionality is crucial for me. I don’t want to waste any more of my time writing a review than this ridiculous app has already cost me. Worst app ever. Ridiculous. No - BEYOND ridiculous. Probably the most sophisticated, stable, useful, fast, and well-supported network maintenance tool on my iPhone and iPad. Loaded with cleverly designed shortcuts and key codes which make quickly and easily accessing any remote Windows or Mac server a breeze. Highly recommended. What!? No one's rated this fine app? Very slick VNC viewer, great behavior on my iPad. Thanks very much for a handy tool. Oh, does include very nice, compact, built in, Help pages to set the few settings that one needs to set on the Mac. Kudos for that alone. Nice job. configurable for my needs, worked first time. able save different configs & works with blue-tooth keyboard, Specifically use for occasional connect to industrial HMI(PC based) that has no published iOS solution without their expensive server frontend. This app works locally and via remote access by 3rd party M2M client that can expose port 5900. Like the app. Connection was trivial. It seems to work well. Looking forward to the full functionality of the pay version as I was using the lite version. Not sure why all the hate is out there. This works exactly as I need to as a remote desktop into my app. The only complaint would be the lag but it is not a deal breaker. Purchased it, and requested an immediate refund. Read every instruction, made every change required on the settings and it did not function using an iPad to a MacBook Pro. Contacted support and was told I should have downloaded the "Lite" version first, to see if it worked. I strongly recommend you do that first, vice paying $5.99. Slow, more often than not the keyboard cannot be brought up, and also becomes unresponsive very often. Love the way it works, flawless connectivity. Use it all the time. Works great with a mac running el capitan. Several versions ago there were issues connecting to yosemite, but those issues are long gone. I am very pleased with this app. The actions are a little confusing and the drag option is a kittle slow and not accurate. 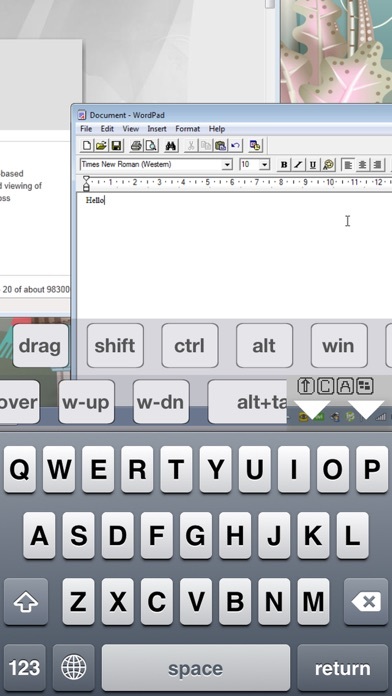 Yes it has a few minor quirks... but all in all this is the best VNC app I have used for iOS. Keep up the good work ! I really wanted a mobile VNC solution and tried the Lite version of this. It functioned but missed the target. I purchased the full version on a hope that it delivered better than the Lite. I did not. That was over two years ago and this product has never evolved into something completely usable. Recently I discovered Remoter VNC. Bingo! It does it all! I am finally completely satisfied with my mobile VNC solution. I loved this app until I put Lion on my Mac. And it works ok over a LAN if you build a macro to enter the username and password at the login screen. But it doesn't work at all from outside the LAN like it did before. The same login screen appears, but you can't enter characters in the fields. MOCHA!! FIX THIS!! Doesn't work very well with Lion screen sharing. Remote screen freezes and you have to disconnect, reconnect. 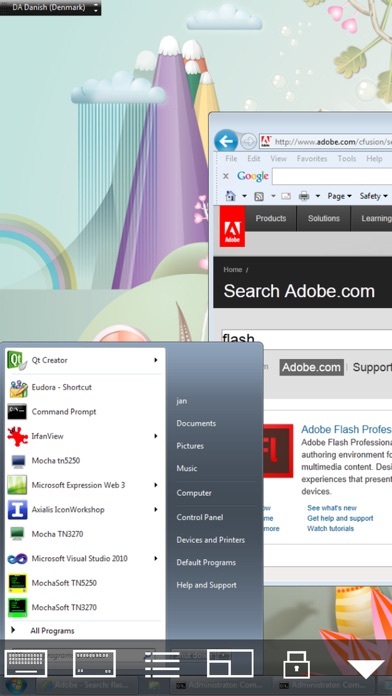 If you're looking for a solid VNC client that lets a power user do what they need, this is it!